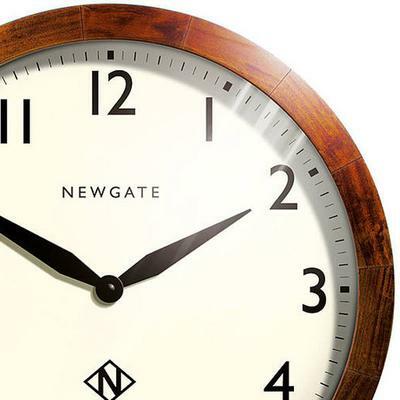 The Newgate Wimbledon Clock will make sure you know the time, anytime, all the time! (Okay, anytime you're home at least.) 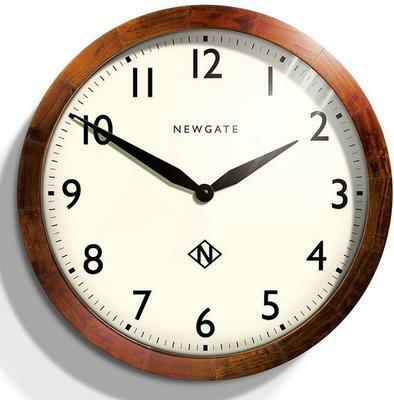 This clock features a large circular face and decked in the most extravagant mahogany toned frame. It's actually reminiscent of old clocks, carrying that right touch of vintage flavour. Hang this up inside your living room, office or bedroom. It comes with a clear set of numbers in Arabic and bold, black clock hands for easy time reading. You'd love how this looks up on your wall!